Anglian Home Improvements explains how to ensure your home makes the right first impression. Thinking of improving your home’s kerb appeal? It’s the first thing people will see of your home, and getting it right can be important. Windows, doors, roofs and your garden all impact your home’s kerb appeal, as well as how energy-efficient and safe your home is in general. 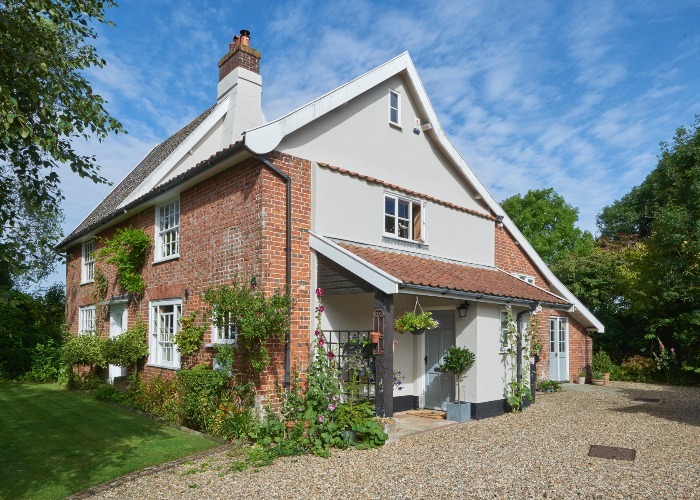 Here, we bring you all you need to know about kerb appeal, including some tips and offers from Anglian Home Improvements on how to do it right. But first, what aspects of your home can impact its kerb appeal? Front Doors are arguably at the top of the kerb appeal pyramid. They’re the entryway to your home, and are primarily responsible for giving people a first impression of your home. Your door should be in harmony with your windows, but that’s not to say you shouldn’t experiment with colour here. Door colour has the ability to deliver a welcome in ways that other aspects of your home’s façade can’t, so you’ll want to choose carefully. If you opt for a more traditional door design, there’s always the opportunity to brighten things up with decorative glass and door handles, plus security features that’ll help keep your home safe. That said, you’ll want to ensure you pick a home improvement company that can provide you with exactly what you need before deciding on a door. Ensuring your Windows are up-to-date is an easy starting point for improving your home’s kerb appeal. Traditional windows on older properties can look great, but if they’re affecting your home’s energy efficiency or need an update, replacing them is worth considering. Luckily nowadays it’s easy to replicate traditional-looking windows with materials that are both in keeping with your home’s appearance and that’ll help you save money on energy bills. And with so many style options and designs on offer, you can choose colours and finishes to best suit your property. Roofs are easy to forget about on the home improvement scale, as they often feel like such a big project that not much can be done with them easily. But injecting your roof with new life isn’t as hard as you might think – it’s all about taking things one step at a time. Instead of opting for a whole roof replacement to improve your home’s kerb appeal, you can instead replace your rooftrim or guttering – they’re simple improvements that’ll give your home’s appearance a complete refresh. Last but not least, front gardens are the finishing touches on a home’s kerb appeal. If you’re lucky enough to have more than a slab of concrete, sculpted shrubbery, flower patches or mid-sized trees can liven up your pathway. But if you do just have concrete in your front garden, potted plants work just as well. They’ll bring a pop of colour in the spring and summer that can make your home look more inviting. It’s all well and good to imagine your home’s new kerb appeal, but what about getting a more solid picture of how your property’s new façade might look? Anglian Home Improvements has created a tool to help with just that. It’s called the Visualiser, and can be used to mix and match windows and doors to see which designs and styles you prefer. First, you pick a home style to use as a backdrop, then try on different windows and doors to see what sticks. The Visualiser is totally free to use and will help you try various styles, designs and colours on for size before you invest. When looking for the right company to improve your home’s kerb appeal, you’ll want to make sure you choose someone that can help you achieve your exact design needs. Anglian Home Improvements is a market-leading company that has been upgrading homes across the UK for more than 50 years. Their incredible range of windows, doors and roof products will not only improve your home’s appearance but its energy-efficiency too. Anglian’s casement windows come A-rated as standard, though all styles can be upgraded to A+ double glazing and A++ triple glazing, and their doors are guaranteed to help with thermal and sound insulation as well. Plus, every window, door and roof product Anglian makes is completely bespoke – that means they’re made totally to your home’s needs, and come in a range of colours, styles and designs to help you achieve the exact look you have in mind. And with 10- and 15-year guarantees, you’ll have peace of mind that your products will last for years to come. Ready to up your home’s kerb appeal? Get in touch with Anglian today for a free no-obligation quote and see how they can help you transform your property. This is a paid promotion from Anglian Home Improvements.